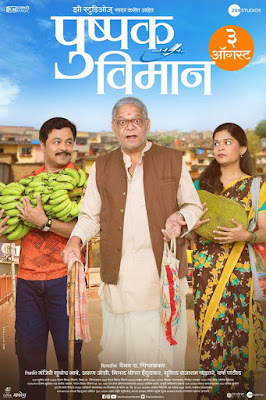 Pushpak Vimaan (पुष्पक विमान) is a Marathi movie starring Mohan Joshi, Subodh Bhave and debutant Gauri Kiran in lead role. The story of the movie is written by actor-director Subodh Bhave, the film has been directed by Vaibhav R. Chinchalkar and produced by Manjiri Subodh Bhave, Arun Joshi, Sunil Phadtare, Minal Shripat Indulkar and Mukesh Patil. Release Date : 3 August 2018. 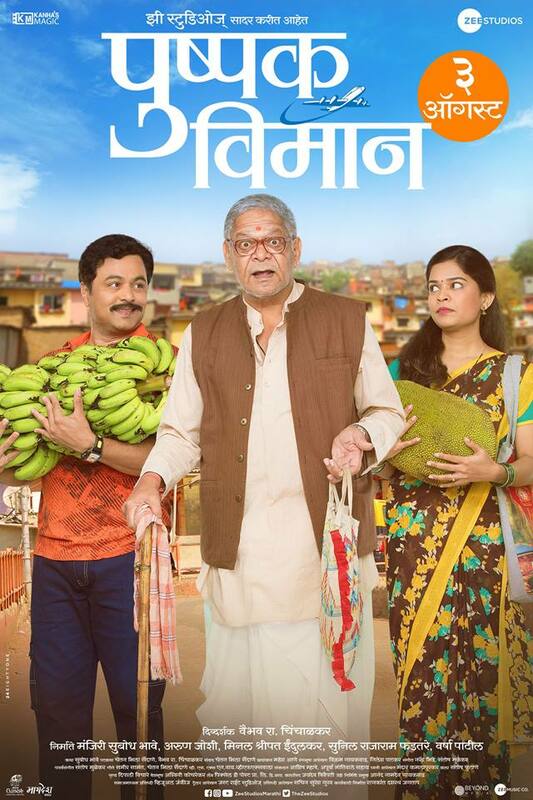 Synopsis : "Tatya" is an ardent devotee of Saint Tukaram and a firm believer of an age-old folklore which says that Tukaram boarded the "Pushpak Vimaan" and set off to his final journey to heaven. The story revolves around 83-year-old Tatyas innocent struggle to fulfill a crazy dream of flying in Tukaram's Pushpak. Enriched with a dose of humor and delicate strings of human emotions between a grandfather and his grandson we fly with some turbulence and melody through the Dreamy Clouds.